Though originally intended to help us, unwanted medications can turn out to be the most dangerous criminals of all! Whether simply unused or expired, unwanted medication can cause serious health problems to humans and animals if they fall into the wrong hands (or paws). Additionally, medication that is flushed down the toilet can impact the health of fish and other wildlife. Most medicines are not completely removed by wastewater treatment processes or septic systems. Proper disposal of unwanted medication will prevent consumption of the drug by people for whom the medicine was not prescribed and prevent environmental contamination of our waterways and soils. You have the power to protect your family and community’s health! Read more about these three safe disposal methods below. Saturday, April 27th, 2019 (10:00-2:00) – You can safely dispose of prescription and over-the-counter medications throughout the Washington D.C. region. The U.S. Drug Enforcement Agency’s National Prescription Drug Take Back Day is a nationwide biannual event to promote the safe disposal of expired and unwanted medications. The initiative is being promoted by the Metropolitan Washington Council of Governments (COG) and regional partners, including law enforcement agencies, water utilities, and health officials. Proper medication disposal keeps our communities safe by preventing drug abuse, accidental ingestion and the contamination of our water supplies. The service is free and anonymous. The DEA offers a searchable map, where you can find the nearest drop off box 365 days per year! Or, use our interactive map below to find a permanent location and directions to properly dispose of your unwanted or expired medication. Click and drag the map to to see different parts of metropolitan Washington. To zoom in left click the map twice and to zoom out right click the map twice. Services provided are free and anonymous. Problems viewing the map? Try refreshing the page. Check the pill bottle for any instructions on proper disposal. If none are present, proceed to the following steps. Mix medication with undesirable substance like kitty litter or used coffee grounds. The drugs will be less appealing to children and pets, and obfuscate the medicines that some people may seek by going through the trash. Place mixture in a sealable, secure bag, can, or container. 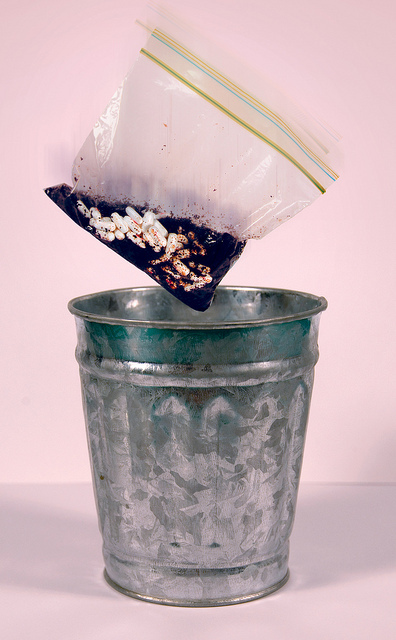 Throw away sealed container and contents into garbage. 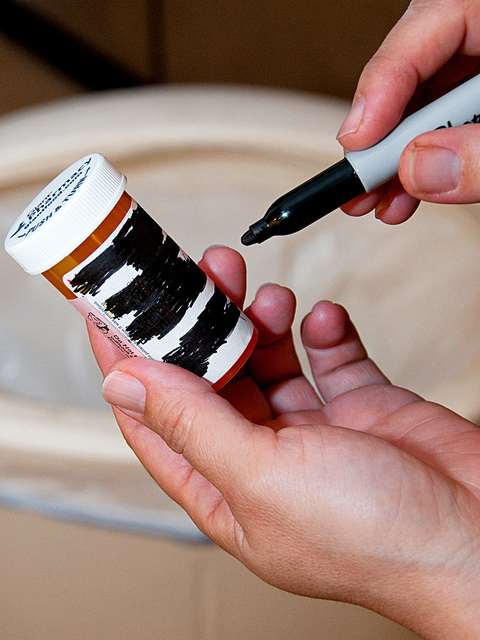 Scratch off all personal identifying information on the prescription label so that it is unreadable before recycling pill bottle or medicine container.